That is exactly what I found when I opened the Blue Book of Birding history in the Meadowlands, many wonderful things about the many years of birding in the Meadowlands . Brian Aberback, who maintains the Meadowlands Nature blog, asked me a while back if I would want to take a look at an old blue binder that was labeled “HMDC BIRD LISTING.” Of course I couldn’t resist taking a look at this one inch thick Meadowlands birding bible. When I got home I anxiously flipped the many pages attempting to search out rare bird sightings and perhaps compare the birds of the Meadowlands past to the birds we have today. It didn’t take long to see some great bird sightings like a Golden Eagle at Kearny Marsh in’86, a Hudsonian Godwit and a Ruff along Kingsland Creek in ’72 , a Marbled Godwit in’71, and another with a possible broken wing along Transco trail in ’98 . I couldn’t wait to turn to the next page to see reports like Northern Bobwhite Quail at the Lyndhurst preserve in ’98 and even a Sandhill Crane the same year. It was a bit overwhelming to try and absorb all the places, the dates, and the birds but there was also something else very special in the blue book of birding history : the birders themselves. Across the page in small print were the names of the many birders over the many years who reported their sightings, now documented and acknowledged in a small book I felt honored to hold . There were two legends of the Meadowlands whose sightings dated back to the early ‘70’s. Don Smith and Richard Kane birded the Meadowlands when everyone else wrote it off . Both these men documented these many species in the hopes that one day our Meadowlands would be preserved and protected. Good friend Rob Fanning documented many important bird sightings over the years as did Kevin Karlson. There are even reports by Boy Scout troop #548 from Moonachie, a group called the Echo Lake Nature Club, and the Saturday Morning Bird group, among many others. Seeing all the names of folks that birded the Meadowlands over the many years was touching. 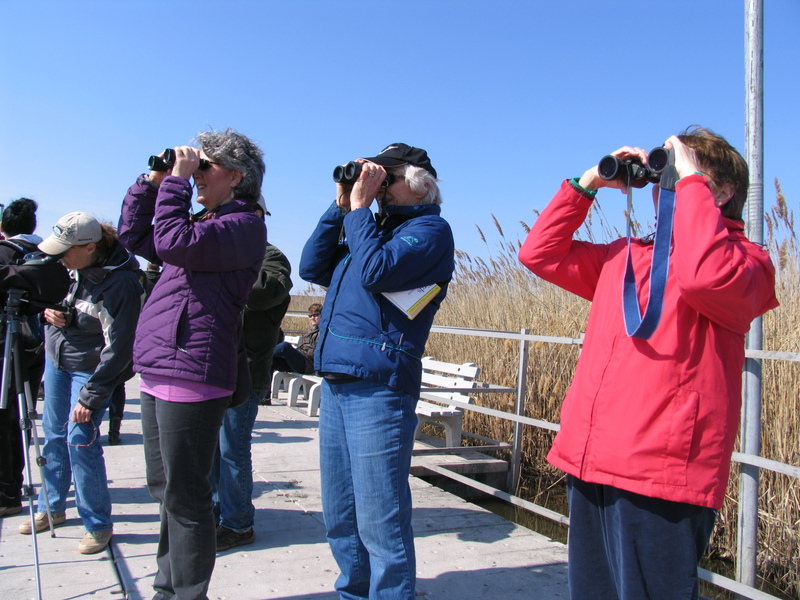 We know the Meadowlands will always be about the birds, but sometimes we forget it is also very much about the birders, the people whose passion and love of the Meadowlands drove them to cherish it, protect it , and ultimately help preserve it. 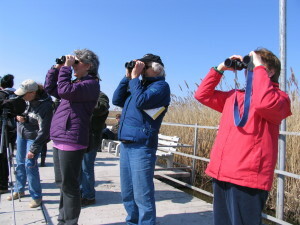 That very same passion and commitment to observe, document, and enjoy the many birds of the Meadowlands continues today , maybe no longer placed in this little blue book but positioned in more modern high- tech places, but always well-maintained in the hearts of all who love the birds of the Meadowlands . More on this book in future columns .